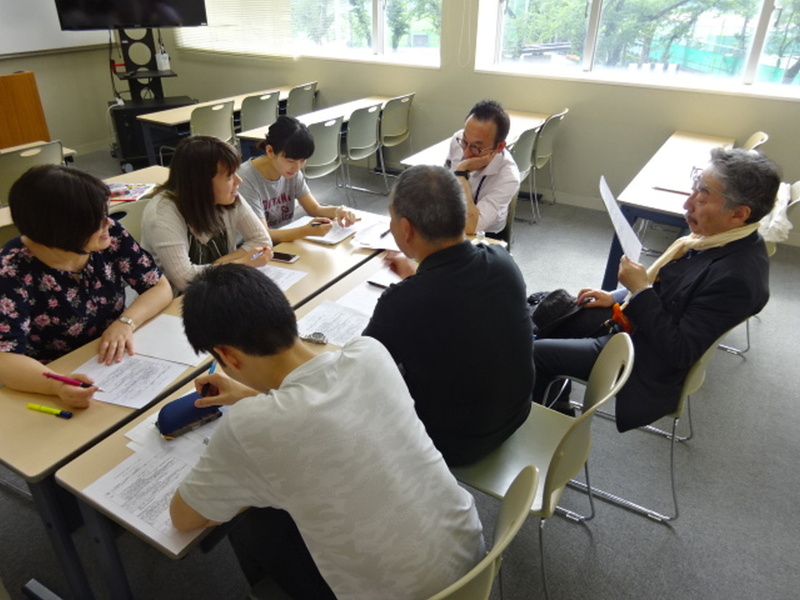 on preparation for the summer seminar. 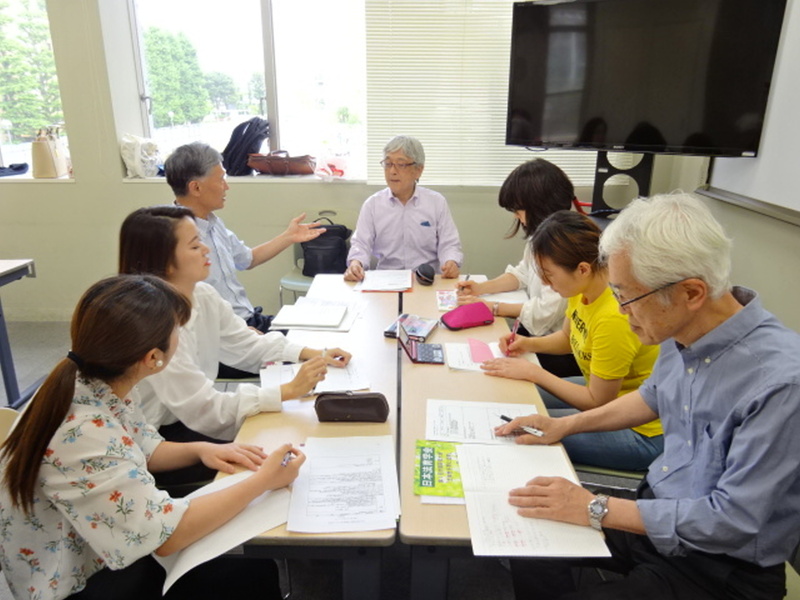 The central point of the meeting was ‘study of teacher’s life courses’, from which participants learned about Mr Fukuyama and Mr Hayakawa’s progress as teachers. The result is to be reflected in Vol.5. The participants heard brief overviews of the two teachers’ long paths, starting from their birth through adolescence to days they served as teachers of middle standing and to now. The main points of their talk included 1. starting points for wanting to be teachers, 2. unforgettable students, 3. crises and turning points of their career, 4. encounter with acquisition-oriented education, 5. moments of their growth, and 6. messages for young teachers. I had a chance to understand what lies behind their ways of living. I was particularly impressed with how their families and the relations between their parents had influenced their lives. Hooray for their spirit of never giving up! Both teachers live with the support of encounter with good teachers. I rediscovered the importance of the roles of teachers. I was impressed with how they sticked to their well-grounded philosophy of life. I felt encouraged by them. This entry was posted in Regular Meetings on 19/05/2018 by staff.